Hendford Terrace was a row of houses in Hendford situated between Chant’s Path and the Volunteer Inn on the corner of Brunswick Street. The terrace appears on Bidder's map of Yeovil of 1843. The terrace was clearly homes to the more affluent Yeovilians and the 1851 Census lists the families of a retired Captain of Royal Marines, an Inland Revenue officer, an accountant, a retired innkeeper (Benjamin Rowsell of the Greyhound Inn in the Borough) and an accountant’s clerk. The terrace was finally demolished for the widening of Hendford around 1965. 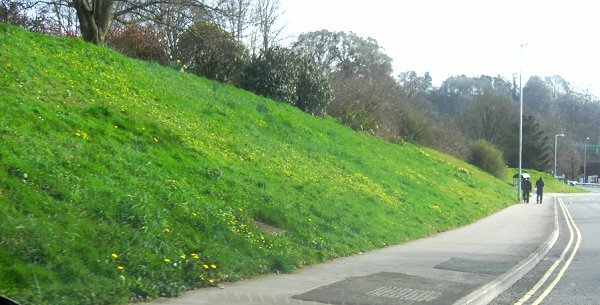 The site is now the grassy bank opposite the entrance to Hendford Lodge Medical Centre. 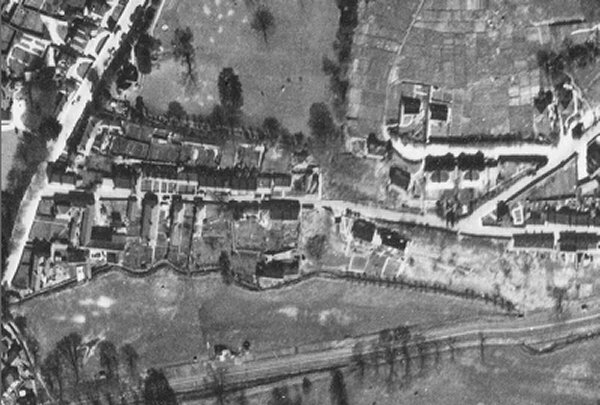 A 1946 aerial photograph with Hendford running along the left edge and Brunswick Street running across the centre of the photograph. Chant's Path is seen above the left half of Brunswick Street. Hendford Terrace runs along Hendford immediately below where Chant's Path joins Hendford. Again photographed in the 1960s, this photo looks north along Hendford with Hendford Terrace at right. The trees beyond the terrace were in the grounds of Hendford Manor and hidden away behind the trees was Hendford Manor Lodge. 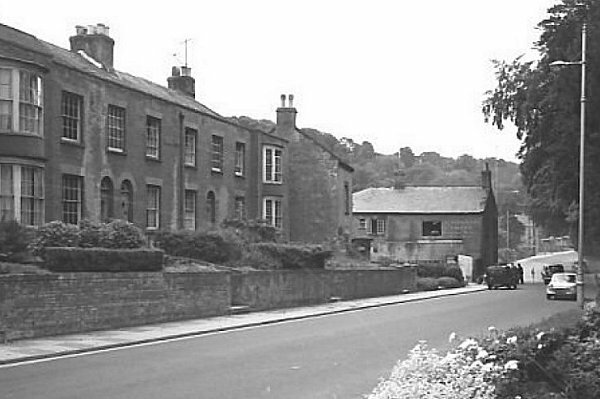 This photograph dates to about 1960 and shows Hendford Terrace in Hendford. The wall at the bottom left corner is the boundary wall of Hendford Manor and next to it is the entrance to Chant's Path - its street nameplate is on the end wall of the first house. The Volunteer Inn is seen at right angles with Hendford. This photograph was taken at the beginning of demolition in 1965 and the terrace of housing seen at left, Hendford Terrace, was to follow shortly thereafter. .... and the same spot in 2014.